Preface; 1. Proposed treatment, and its connection with the definition of beauty; 2. The creation of a poetic world, and its first encounter with reflection; 3. The fundamental outlines of Greek theory concerning the beautiful; 4. Signs of progress in Greek theory concerning the beautiful; 5. Alexandrian and Greco-Roman culture to the reign of Constantine the Great; 6. Some traces of the continuity of the aesthetic consciousness throughout the middle ages; 7. A comparison of Dante and Shakespeare in respect of some formal characteristics; 8. The problem of modern aesthetic philosophy; 9. 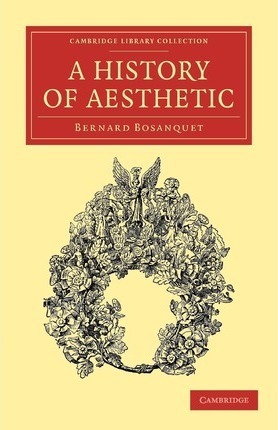 The data of modern aesthetic philosophy; 10. Kant - the problem brought to a focus; 11. The first steps of a concrete synthesis - Schiller and Goethe; 12. Objective idealism - Schelling and Hegel; 13. 'Exact' aesthetic in German; 14. The methodical completion of objective idealism; 15. Beginnings of a theoretical reunion of content and expression; Appendix; Bibliography; Index.